Who wants to know how to make money on the Internet has the option to create, maintain and update a blog. However, for this blog to become profitable it is essential that it have views and attract visitors. The amount of traffic from readers who access your blog is a key factor so that you can later carry out strategies that can bring more profits. By having a large readership, you will be able to adopt profitable strategies, such as selling infoproducts, adopting affiliate programs, or even selling your own products. When it comes to attracting and generating traffic that can make your post earning a financial gain, you need to stay focused on some important points, especially content-related. If you are a user of the WordPress platform it is interesting to know that there are plugins that can increase the number of visitors. Wordpress, for those who do not know, is a highly recommended platform for those who want to invest in a more professional profile blog. One of the characteristics of the WordPress system is to count on a series of plugins intended for the most differentiated functions. One is exactly attracting more visitors. So, among the plugins created for this are Seo By Yoast and Seo Search Terms 2. These two plugins work on the use of keywords to perform SEO techniques. To get some of them just search the panel of WordPress plugins and then install it. It’s important for people to know that you have a blog. This way you will be able to attract public attention to the content you produce. In that case, a good option is to comment on posts from other blogs that address the same subject as yours. With this, you can make partnerships and put the link of your blog on other blogs. It is a tactic that involves partnerships and can provide good visibility for you. Also, do not dispense with the use of social networks. Your participation in large social networks is essential for you to promote your blog. On channels like Facebook and Twitter you can find a significant portion of people who are interested in the content you write. The number of posts is a factor of attraction in blogs, since they indicate that the production of content in it is dynamic and there is always something new. Readers currently lose interest in blogs that have long been abandoned. For you to have an appropriate frequency of posts, it is interesting to make a schedule, reserving specific days and times. In this way readers will have the habit of monitoring their production. Wordpress, for example, is a platform where you can perform a schedule of postings. It’s no use having a blog if you leave aside the interactivity that this tool provides. Keep in mind that readers who are in the habit of commenting on posts appreciate a feedback from the author. So when a reader has a question, a suggestion or even a criticism, it is interesting that you talk to him. This closeness between the public and the content producer is useful to consolidate your readers and attract others. If talking and interacting with the public is an important resource, understanding where it came from and what brought a good share of that audience is equally relevant. 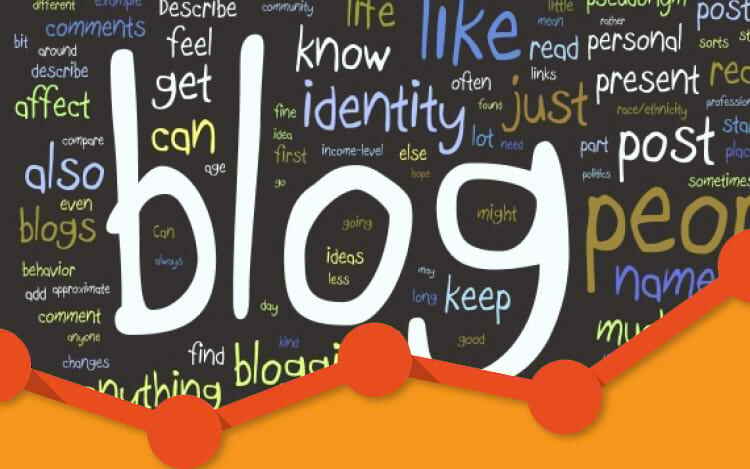 So always be aware of the blog’s graphics, which point to the months of greatest visit, the keywords that brought visitors and the most commented posts. Once you have all of this information, you’ll have more data to see which posts you’ve been most interested in. This way, you’ll be able to more confidently post future posts. One of the tools used to perform this analysis is Google Analytics. One of the advantages of the Internet is the creation of content connection. So if you have the opportunity, create links that lead to other posts you’ve previously made. With this strategy of internal links, the text becomes richer, informative and even generates visualization for more texts you create. The profit made through a blog is the “Holy Grail” that many people look for when they decide to invest in creating content online. However, this profit will appear when the blog has increased traffic. A blog is the modern media that, like the TV and radio stations, needs the public. So, in addition to the strategies cited to attract readers to your blog, remember another equally important tool: good and differentiated content.